CIRCLEVILLE – Peebles company is closing and it’s changing its store completely over to a different look to appeal to a younger crowd. Circleville Peebles will be converting into a Gordman’s store mid-summer according to a Peebles Representative. They will offer a more “TJ Max style shopping experience vs. what they do now. This is more likely to appeal to the younger crowds a representative of Peebles said, Gordman aims for a younger crowd, and she thinks it will be a favorite for the area. There isn’t a TJ-Max or Kohls like store in Circleville, so this should be a big hit with shoppers. Stage Stores’ Gordmans retail chain is growing in response to consumers enjoying its off-price offerings, which means bigger deals and smaller prices on a wide array of apparel and home décor items. Gordmans, which has been delighting shoppers for more than 100 years, has fresh new merchandise deliveries arriving weekly; there will always be something new to discover when it comes to popular name brand apparel, home décor, footwear, gifts, accessories, fragrances and more for the whole family. 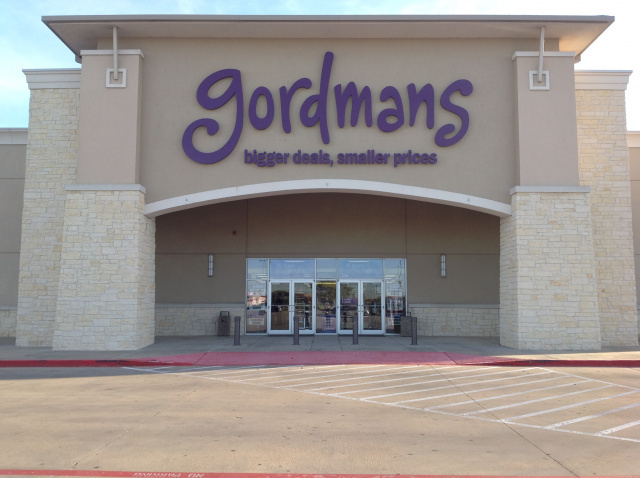 To learn more about Gordmans, visit gordmans.com. The statement also revealed that there are no foreseen job losses in any of the 38 conversions from Peebles to Gordmans across the country. Actually Goodmans is hiring 70 positions in its Ohio Distribution center in Jeffersonville, Ohio about 35 miles from Circleville, to accommodate the growth. Distribution Center jobs include material handlers, merchandise processors, ticketers and more. Interested candidates are encouraged to apply online at http://corporate.stage.com/careers. Job seekers who submit applications online through April 30, 2019 will be eligible to earn a $500 hiring incentive. Full-time associates are offered benefits, including health insurance (medical, prescription drug, dental and vision); a 401(k) savings plan; paid vacation and holidays; and a 20 percent associate discount on merchandise at Stage’s community of stores, including Bealls, Goody’s, Gordmans, Palais Royal, Peebles and Stage. In 2017, Stage Stores launched Gordmans as an off-price apparel and home décor retailer, which means bigger deals and smaller prices on a wide range of merchandise. By the end of March 2019, Stage will operate 105 Gordmans stores spanning 19 states. Stage Stores will continue to expand Gordmans, opening 36 stores this June, including 25 in Ohio. Gordmans will announce job fairs for its summer store openings at a later date. Stage Stores, Inc. is a leading retailer of trend-right, name-brand values for apparel, accessories, cosmetics, footwear and home goods. At the end of March 2019, the Company will operate in 42 states through 690 BEALLS, GOODY’S, PALAIS ROYAL, PEEBLES, and STAGE specialty department stores and 105 GORDMANS off-price stores, as well as an e-commerce website at www.stage.com.